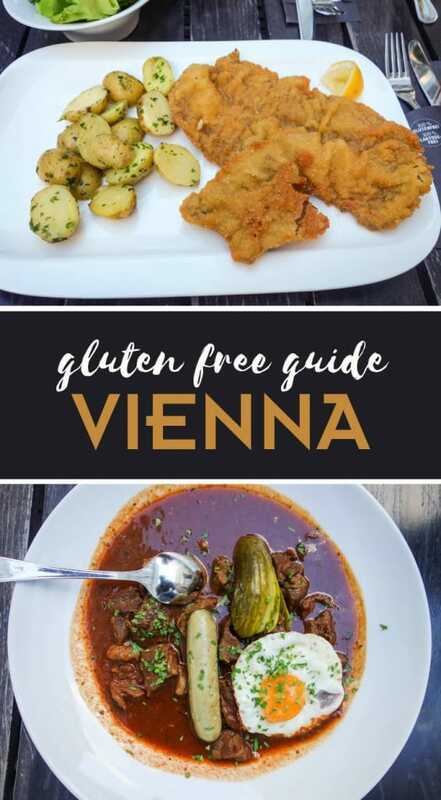 We always knew that Vienna was known for it’s culinary art but little did we know that it also true for people on a gluten free diet. Vienna is a celiac heaven and if Vienna didn’t have a winter we would seriously move here just for the gluten-free food. That’s how serious it is. There are so many gluten free restaurants to choose from and I know that it’s impossible to try them all but be sure to visit at least our top choice restaurants. They will not leave your taste buds or stomach disappointed. Guaranteed! Restaurants marked with a star (★) are a 100% gluten-free and are dedicated facilities. 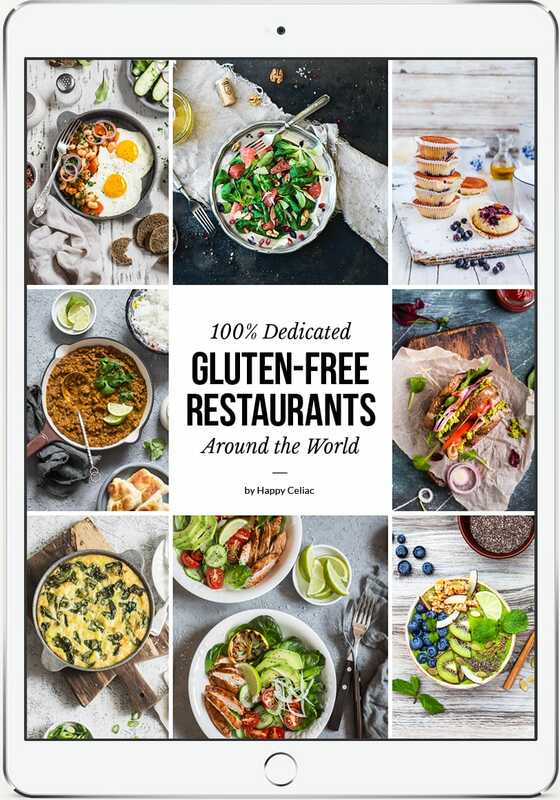 Discover more dedicated gluten- free restaurants in Europe with this book, “100% Gluten-Free Restaurants Around the World” with over 1000 establishments listed. The perfect café for people with all different kind of allergies. No matter if you are allergic to gluten, lactose, egg, nuts, dairy or soy you are bound to find something delicious to eat here. So forget all your worries and enjoy some cake and coffee on the “Gluten Free Beach” (outdoor terrace). No visit to Vienna is complete without a visit here. Another gluten free heaven with a wide variety of different cakes and tarts, all of which are a 100% gluten and lactose free. 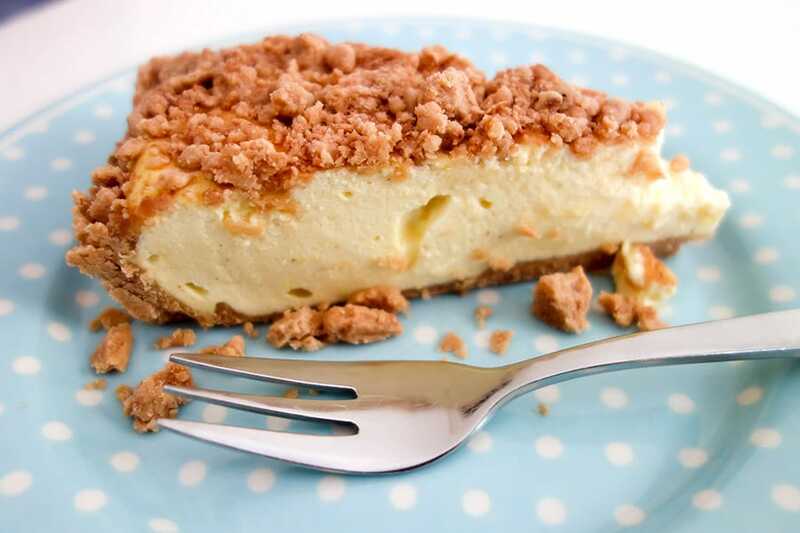 Café Restaurant Mozart has six different kinds of gluten free pastries, cakes and mousses. All of them are clearly marked on the menu. By far our favorite gluten free restaurant in Vienna. 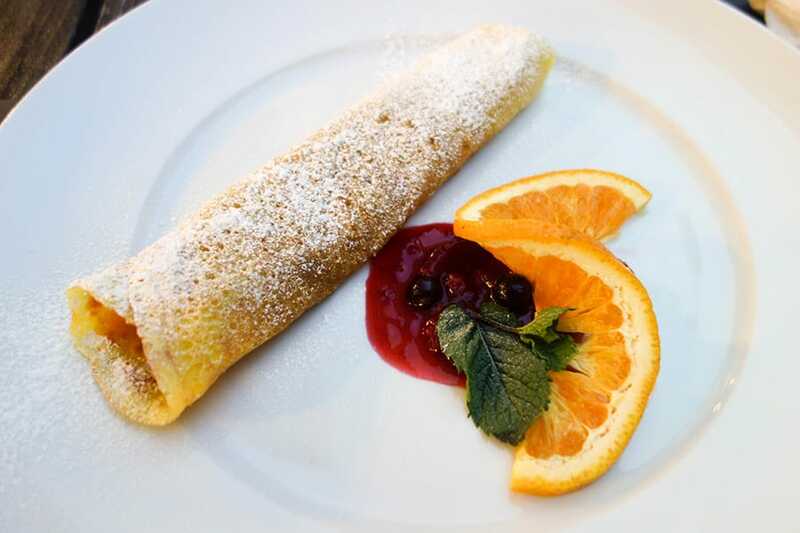 They have many traditional Austrian dishes on their menu and all of them are a 100% gluten and lactose free. It was nice to finally have some Wiener Schnitzel and Mohnnudeln again. Oh and did I mention that they also have gluten free beer? Can’t have dinner in Austria without a refreshing beer ;D If you visited any restaurant on this list, make sure it this one, I promise you won’t regret it. Gasthaus am Predigtstuhl is a traditional Austrian restaurant but they also serve vegan and oriental food. Many items on the menu here are either naturally gluten free or can be made gluten free. Gasthaus Nestroy takes great pride in providing gluten free food to their customers. 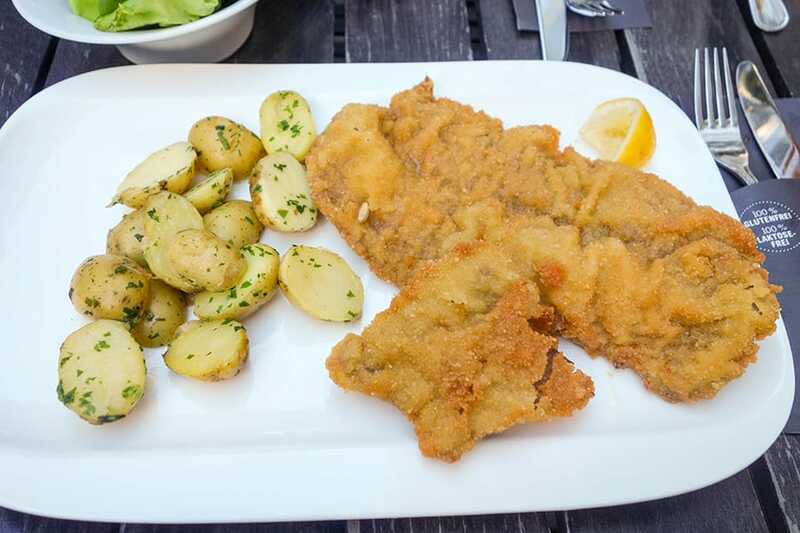 Most dishes, such as the famous Wiener Schnitzel, can be prepared gluten free upon request. 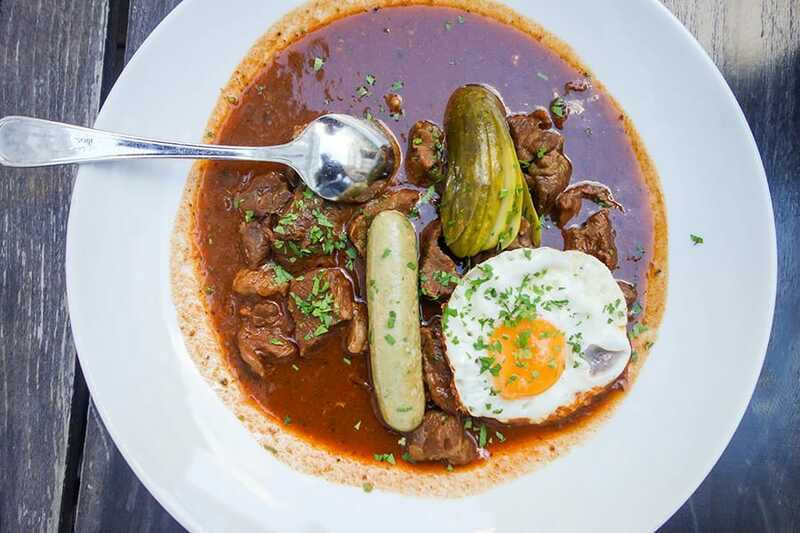 At Cafe Schopenhauer, guest can also enjoy an array of traditional Austrian dishes which are made gluten free upon request. This is the place that I want to tell all celiacs about, as they have literally the best (gluten free) pizza I have ever eaten. I was seriously questioning whether the pizza was really gluten free but my taste buds wouldn’t let me care much if it wasn’t lol. I know what you are thinking, eating pizza at a pizzeria can be deadly for a celiac as flour gets everywhere and it’s impossible to contain but with this place you can breathe easy. 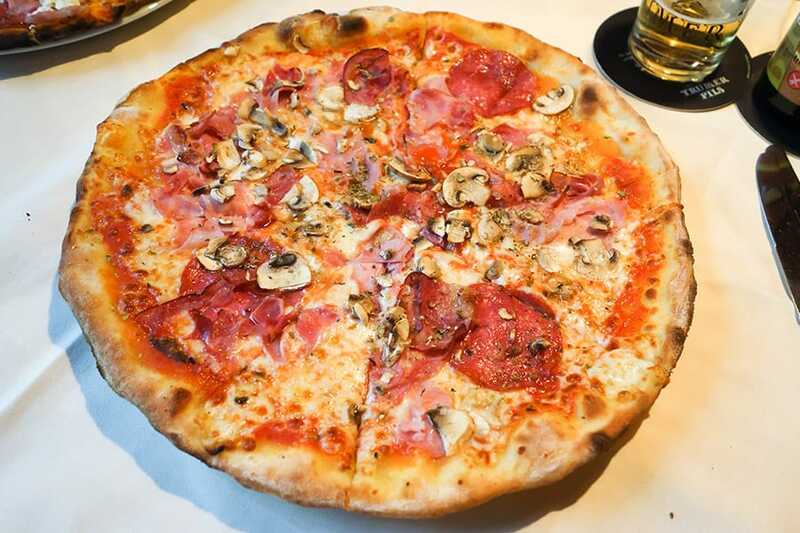 All gluten free pizzas are made separately in the front of the pizzeria in their dedicated gluten free wood oven! There are over 30 gluten free pizzas available and all of them are freaking delicious. Like, foodgasm delicious. Gluten free beer, pasta dishes and tiramisu are also available. A pizzeria that everybody can enjoy, even people on a gluten free diet, as everything on the menu is a 100% gluten and lactose free. So if you haven’t had pizza in some time because you are worried about cross contamination be sure to make a stop here to get your pizza fix. Unfortunately, Alla Salute has permanently closed. At Simply Raw Bakery you will find everything from smoothies to pizza and even delicious tiramisu. All dishes are raw, organic, vegan, gluten free, lactose free, and without industrial sugars. It can’t get healthier than this. For gluten free bagels and shakes visit one of the many Blueorange restaurants around Vienna. 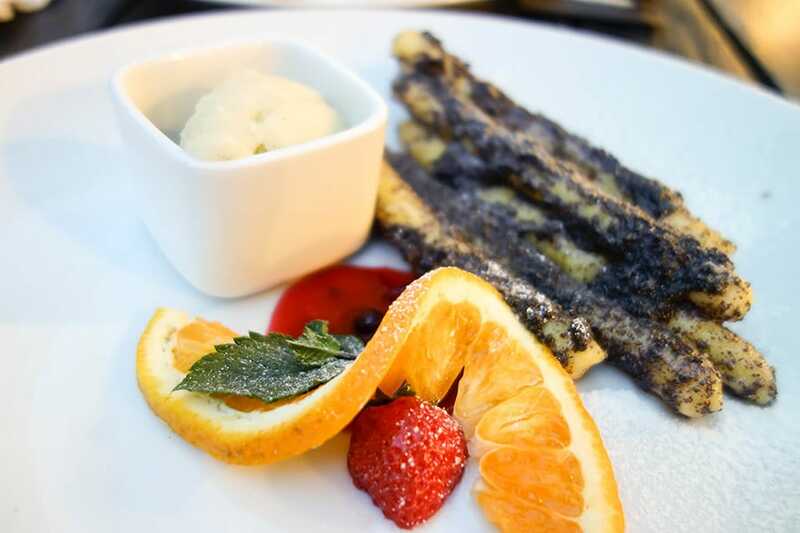 The waiters here are very knowledgeable and ensure that there is no cross-contamination with their gluten dishes. 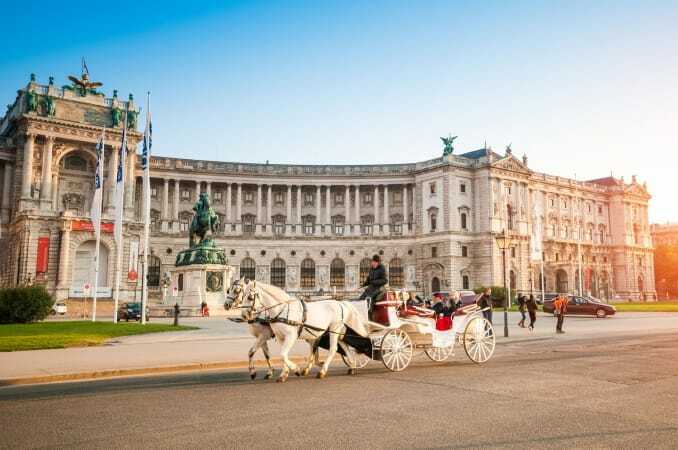 Kaiserhof Hotel is conveniently located in the historical center of Vienna and within walking distance of the famous Ringstrasse and Opera House. 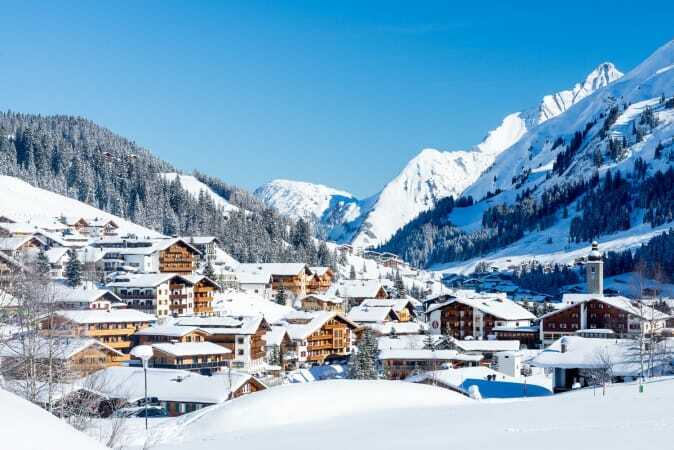 In 2012, Kaiserhof was awarded the ECARF Certificate and now offers allergy friendly rooms as well as a large variety of gluten and lactose free dishes for breakfast. Click here to read reviews and check availability. 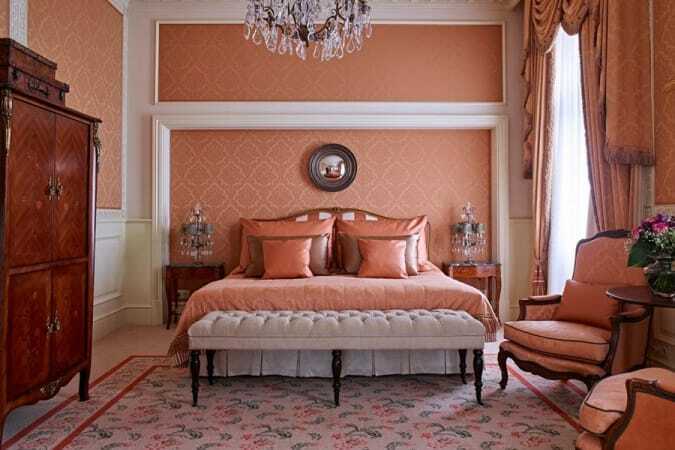 This small allergy friendly boutique hotel is a place where everyone can relax and feel right at home. Even celiacs. 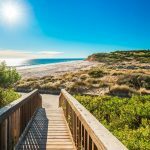 The owners understand how difficult it can be to travel with allergies that is why they take the extra step to make sure your stay is both enjoyable and worry-free with allergy free rooms, and gluten free products. GF food is available upon request, so make sure to mention it during booking.Hotel Spiess & Spiess has also been awarded the ECARF certificate. Click here to read reviews and check availability. The newly renovated 4 star hotel, which is located in the trendy 9th district, offers guest not only modern comforts but also Viennese charm! As an allergy friendly hotel, Harmonie Vienna offers allergy-free rooms, allergy-awareness trained staff, and allergy friendly food like gluten free bread, and gluten free muesli as part of their organic breakfast buffet. The ECARF certified hotel does ask that guest with food intolerance to inform them ahead of time so they can plan accordingly. Click here to read reviews and check availability. With a wellness area that includes a sauna, fitness room, steam bath and a location in the vibrant center of Vienna, Hotel Am Schottenfeld is the perfect place for your Vienna vacation. The Hotel is more than happy to cater to gluten free dieters and add to your holistic wellness as long as you inform them in advance, during the time of booking. Click here to read reviews and check availability. 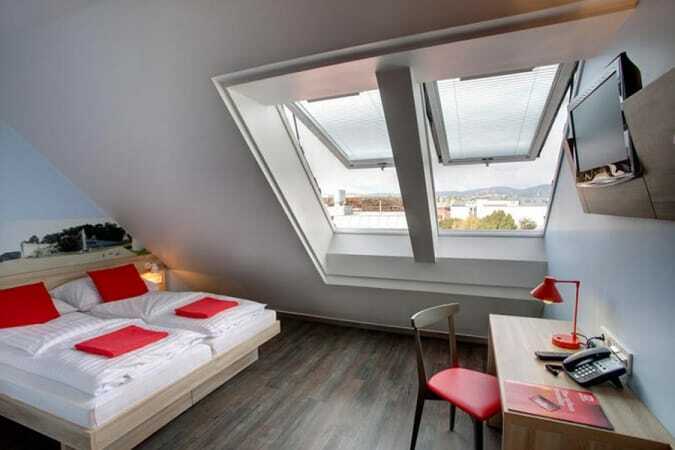 This small but cozy guesthouse is located in a historic building just 10 minutes from the city center of Vienna. Gluten Free guest can also enjoy the rich breakfast buffet as gluten free options are available upon request. Click here to read reviews and check availability. Want to prepare your own food? 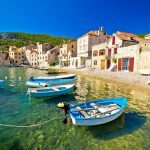 Check out Airbnb rentals with kitchens here. Oh, and don’t forget to use our Airbnb coupon code to get $35 off your next booking. Most bigger supermarkets nowadays carry gluten free items such as bread, cereal, and noodles. Usually those items are displayed together on one shelf, so just ask one of the store workers where the gluten free items can be found. Spar even has their own “Free from” brand for people with allergies. dm drug stores can be found all over the city and usually the have a small food section where you can find gluten free and organic items. Reformhäuser can also be found all over the city but usually things here are more expensive than they need to be. However, if you are looking for something specific this would be the place to find it. Below is a list of useful German phrases you should know to help avoid getting glutened. Make sure to also download our FREE German gluten-free restaurant card. 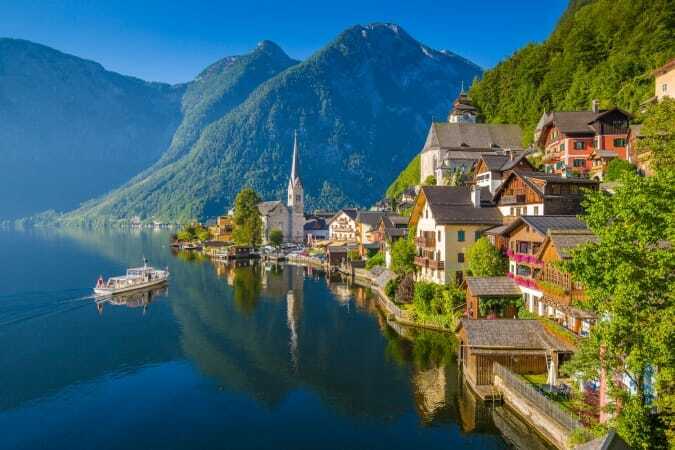 Planning to visit Salzburg? 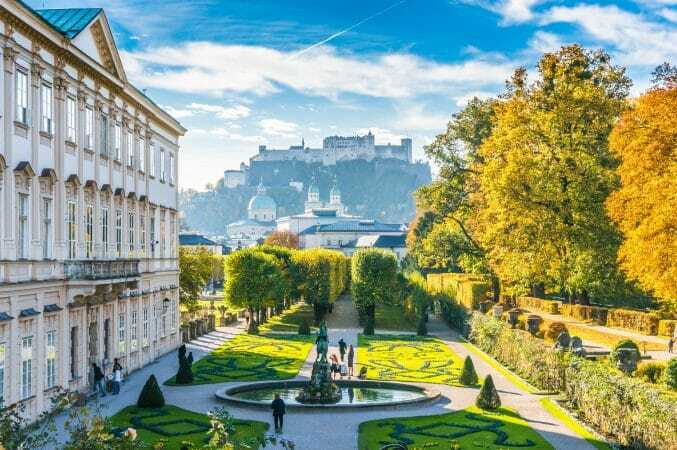 Don’t forget to read our gluten free guide to Salzburg! Appreciate all this information in such a well organized article. 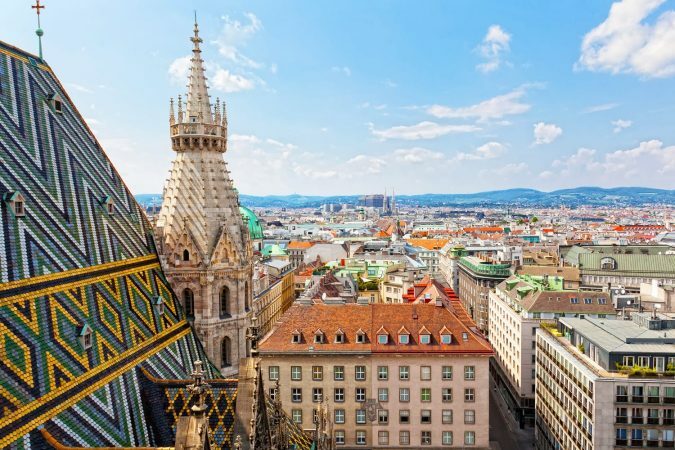 Just was diagnosed with Celiac Disease 6 months ago and I have a trip planned to Vienna in 3 months time. I’ve been all over the internet and I have collected a lot of restaurants and bakeries, but this article organizes it very well. Also, descriptive about the restaurants. Thank you! We are glad we can help! We try to be as thorough as possible with our GF guides. 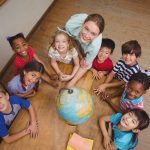 Ben & Jazzy – thank you so much for this wonderful info! 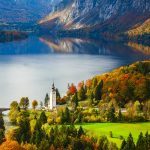 I am a celiac of 18 years and my husband and I are planning our honeymoon to Vienna, Salzburg, and Munich this fall. I am so happy I can eat in so many places! 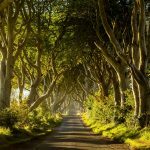 Could you email me a recommendation of a travel agency or guide to help plan our trip (if you know of one)? Much appreciated. Cheers! Check out Restaurant Führich, for gluten-free meals too! They have great gluten-free meals like Schnitzel, Pancakes, and many other things. Their owner, Ms. Petra Führich is also Gluten Free! Thank you SO much for this excellent guide. I suffer badly from anxiety so knowing where I could eat beforehand made my trip so much more enjoyable. And you are right, the pizza at Pizza Scarabocchio was incredible!